Previously on The Four… catch up with episode 42 recap! So not only did Ji Yao Hua change her outfit, she has a new name – Ming You. She has now become some sort of special servant to ASG. Uh ok. He’s all pleased with his work of “art,” and she’s all like yeah I am going to do everything for ASG. 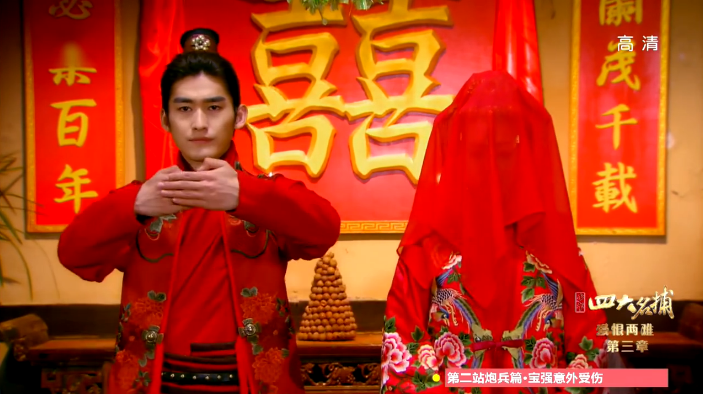 Meanwhile, the Four want Leng Xue and Li Mo to stage a fake wedding to lure out Ji Yao Hua and confirm her identity as the mysterious woman. 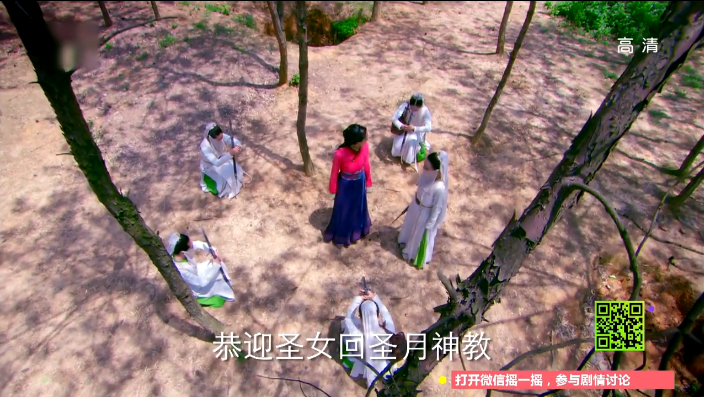 Things don’t go as planned though as Li Mo gets kidnapped by the women in white. They find out that their former leader is Li Mo’s mom and insist that Li Mo become their new leader. Apparently mom ran away twenty years ago because she didn’t want to assume the leadership role. Now that grandma is dead, the women in white need someone to step up and Li Mo is the clear winner. they sure went all out for this fake wedding! Not only do the women in white show up to the party, so does Ji Yao Hua. I guess the plan worked after all. She doesn’t change her behavior and continues to blame Leng Xue and Li Mo for her deterioration. Uh, seriously? It’s as if the game doesn’t get old. All hell breaks lose as everyone starts to fight. 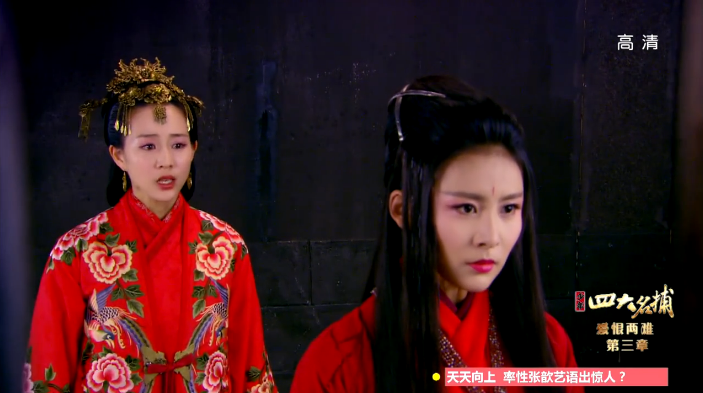 Ji Yao Hua successfully takes away Li Mo to her lair amidst the chaos. Dung dung dunnnngggg. Haven’t had enough? Click for episode 44-45 recap! 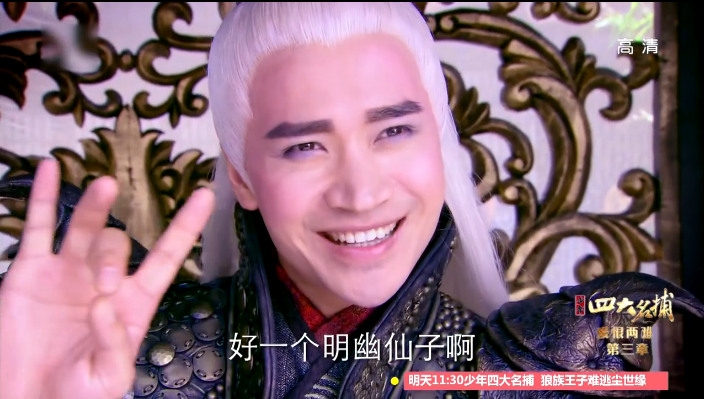 Leng Xue promises to marry Li Mo for reals after he avenges his tribe. Wu Qing watches (and uses his supersonic hearing to listen in) from afar. He then goes on a solo walk all depressed. Mu Xue stops Wu Qing from fighting to his death again and again because she believes he’s trying to numb himself instead. She gets all disappointed yet again, and he tries to be nice to her. YAWN. This storyline is like seriously boring. SKIP. ASG uses his whip on Ji Yao Hua. What the heck??? Princess is out looking for Zhui Ming and gets tricked by a middle aged woman into being a washroom maid. Why does this remind me of HZGG I? Yay finally nearing the end!